“The lecturers here are amazing. For you to fully grasp the subjects, they patiently guide you and teach you,” says eighteen year old William Khoo, who enrolled in the AUSMAT programme in January this year. The former student of SMK Seafield finds AUSMAT generally a fun and fast paced programme. Elected President of the AUSMAT Student Council in February, William recently paid tribute to his teachers at the AUSMAT Teaching Appreciation Day. The Malaysian Quality Evaluation System for Private Colleges (MyQUEST) is one of many prestigious and not-to-be-missed ratings for Malaysian private colleges. 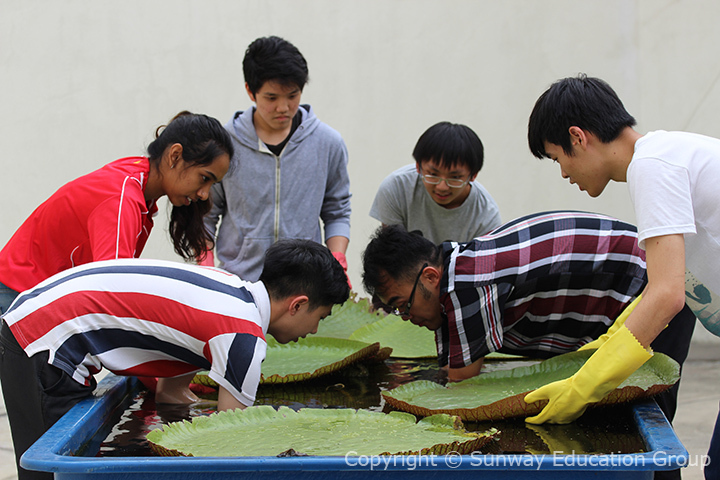 Sunway College is awarded 6 stars in the college-based rating and general programmes cluster in MyQUEST 2014/2015, further proving itself as a leading learning institution in Malaysia. MyQUEST 2014/2015 is a rating system developed by the Malaysian Ministry of Higher Education (MoHE) which evaluates the performances of private colleges in Malaysia with non-university or non-university college status based on evaluations carried out in 2013/2014 in terms of students, programmes, graduates, resources and governance. MyQUEST defines 6-Star colleges as Outstanding (Terbilang) and 5 stars as Excellent (Cemerlang). 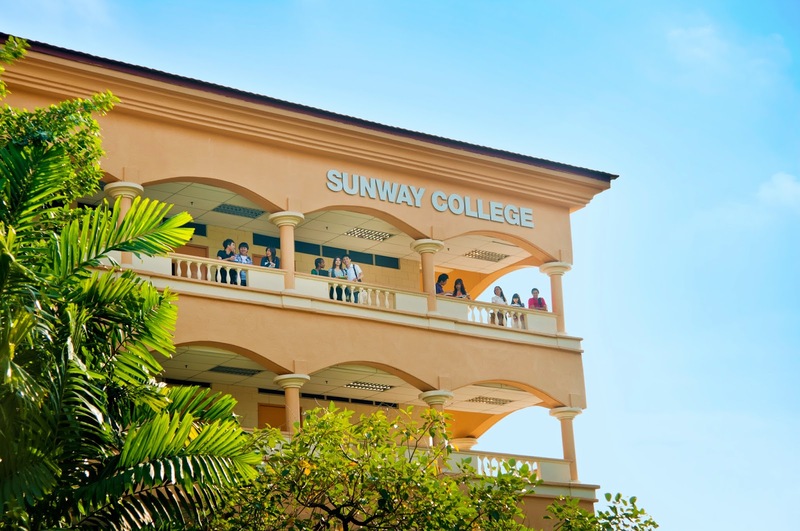 In addition to the 6-star rating in performance and achievement, Sunway College also achieved 5 stars in two areas, namely Social Sciences, Business and Law cluster as well as International Student Management System. 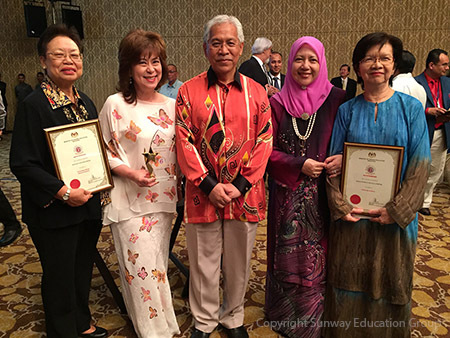 Sunway swept 3 awards at the recently concluded Sin Chew Business Excellence Award 2015. 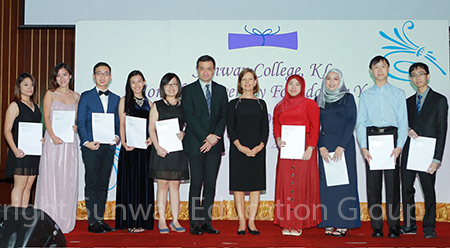 Sunway Education Group won the Product and Service Excellence Award and the CSR Excellence Award. Tan Sri Dato’ Seri Dr Jeffrey Cheah, AO, Founder and Chairman of Sunway Group received the Lifetime Achievement Award. 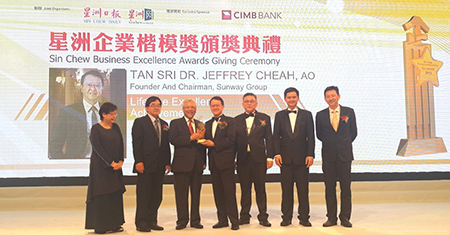 The Sin Chew Business Excellence Award serves to recognise, award and motivate some of Malaysia’s most trusted and prestigious SMEs and businesses to showcase and spearhead Malaysian brands to the global market. Running for the third time, this award ceremony with the theme of “innovation, transformation, sustainability” aims to encourage the sharing of success stories and models of winning businesses for more enterprises to learn and emulate. 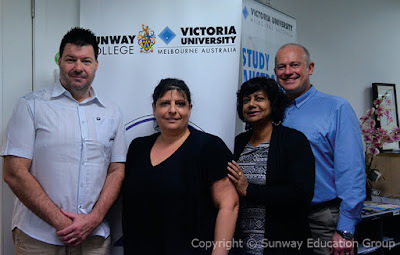 Trailblazing as the first Australian to embark on an exchange with the Victoria University MBA (VUMBA) programme, 37-year old Tyson Murphy from Melbourne is not new to Malaysia. Having been to Penang once for a conference, this 7-week programme is the longest he has stayed thus far in Malaysia. Currently in his final semester at Melbourne’s Flinders Campus for an 18-month, 12-unit MBA programme, Tyson took on this challenge in Malaysia to better his career prospects and embrace a cultural exchange experience. 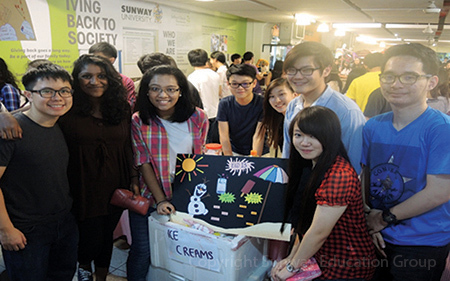 Tyson enjoys meeting new people and has had a very welcoming and hospitable experience on the Sunway campus. Despite finding the local accent challenging at times, he has made many new friends by engaging in active listening. 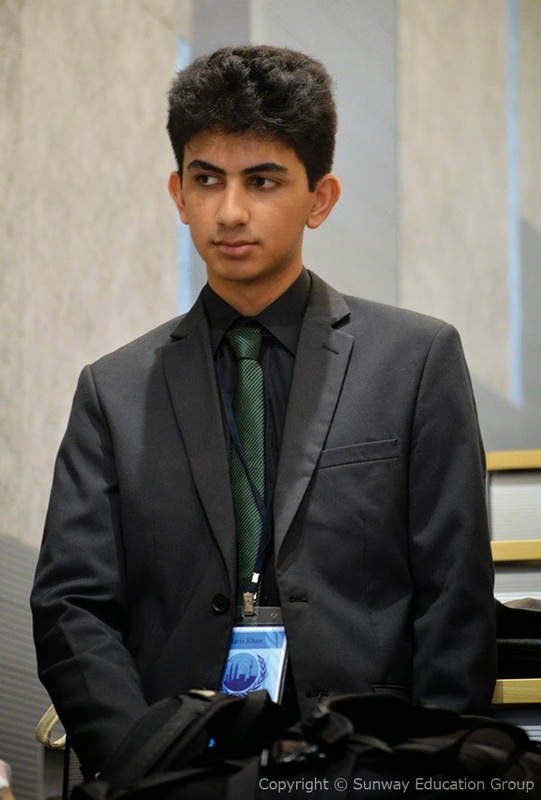 Picking Malaysia for his last subject was out of the desire to do something different and the opportunity to engage in a new cultural and learning experience. 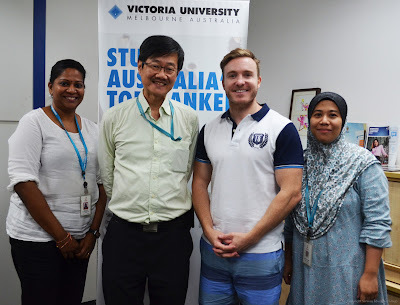 All it took to make up his mind was a visiting meet and greet with Dr Hendry Ng, Head of the VU MBA programme at Sunway College. 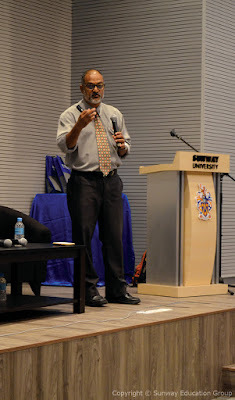 Sunway University and Sunway Education Group’s Student Services Department in collaboration with Sunway Medical Centre recently organised conference on mental health, themed “Getting Mental: Wellbeing Beyond Self”. Sunway College students stormed into victory at the Monash Business Investment Challenge (BIC) 2015, raking all prizes from the competition. 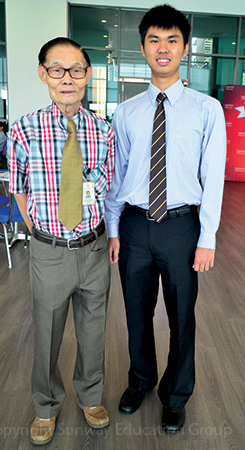 Chai Lit Kean and Tan Shao Qian from Sunway College’s Monash University Foundation (MUFY) emerged as the grand winners and were rewarded with a Monash University Malaysia Partial Scholarship worth of 50 percent tuition fee waiver. Hue Zhi Yang and Thew Shao Chuan from Sunway College’s A-level were the first runners-up, winning a cash prize of RM2,000. The atmosphere at the wide open space car park of the Higher Education Ministry Building was bustling. There was a sea of young people clad in either sports or cultural attire and the music bursting through the sound system was lively and upbeat. The Higher Education Week themed ‘One World Culture’ was indeed an inviting event not to be missed by the many enthusiastic participants competing against various higher education institutions around Malaysia. The events included competitions of inter-college road relay, auto saloon, football, cultural dances and the highly anticipated Singing Competition of International students performing Malay songs. The atmosphere at the grounds of Ministry of Education, Putrajaya, was happening. 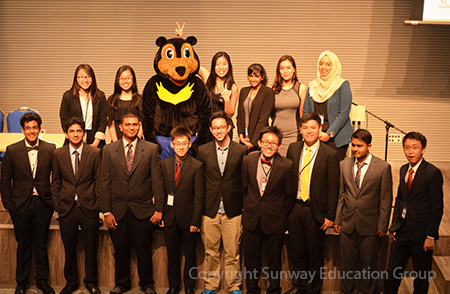 A total of 10 teams, from eight schools competed as finalists in the MIA-Sunway TES Accounting Quiz 2015 (AQ 2015) held at Sunway College in its newly refurbished Jeffrey Cheah Hall on 12 September 2015. 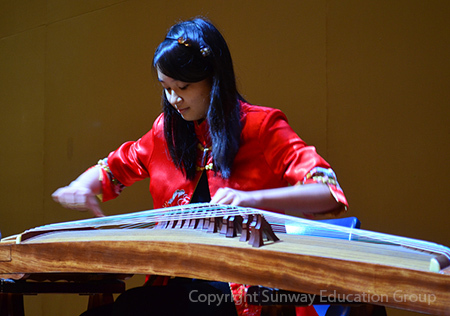 The schools are from five states, four from Selangor and one each from Kedah, Negeri Sembilan, Perak and Sarawak. Each of these schools were represented by a team made up of five team members. The team and individual winners and participants of the MIA-Sunway TES Accounting Quiz 2015 with staff members and student helpers from Sunway TES Centre for Accountancy Excellence. 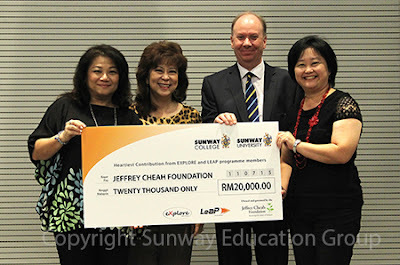 Jeffrey Cheah Foundation (JCF), the largest education-focused social enterprise in Malaysia hosted a charity recital presented by the Perak Society of Performing Arts (PSPA) to benefit the Jeffrey Cheah Foundation Community Scholars at Sunway University in its newly refurbished and acoustically well-equipped University Hall, which saw a turn-out of over 750 people. Titled “A Night of Musical Kaleidoscope”, the PSPA International Ensemble performed an extraordinary musical extravaganza which was specially designed to take the audience on a journey through the breath-taking lens of music history from Bach to Yiruma. 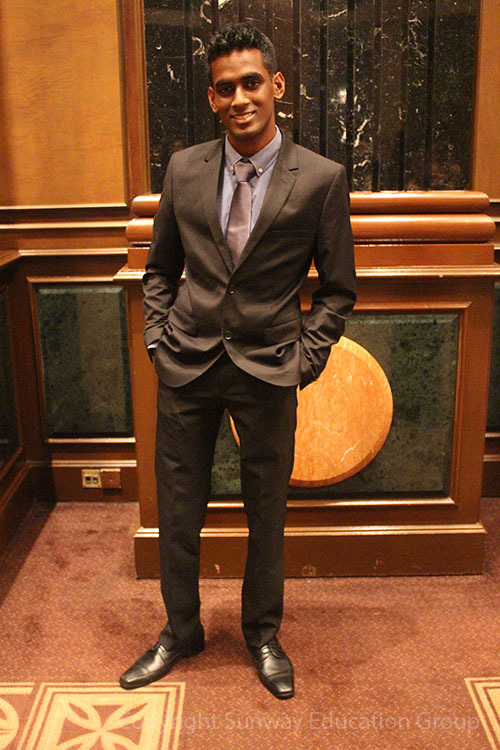 MUFY Wins Grand Prize at Monash Business Investment Challenge 2015! 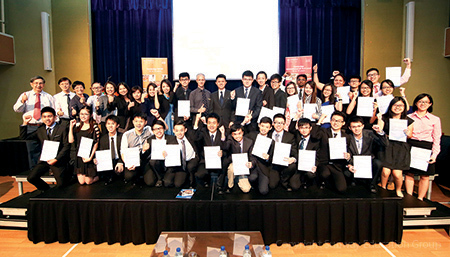 The MUFY team comprising Tan Shao Qian and Chai Lit Kean beat 27 other teams to emerge champions in the Monash Business Investment Challenge 2015. 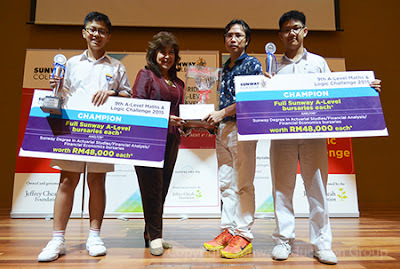 For this outstanding achievement, both members were rewarded with a Monash University Malaysia Partial Scholarship which gives them a 50% tuition fee waiver. Well done Shao Qian and Lit Kean! 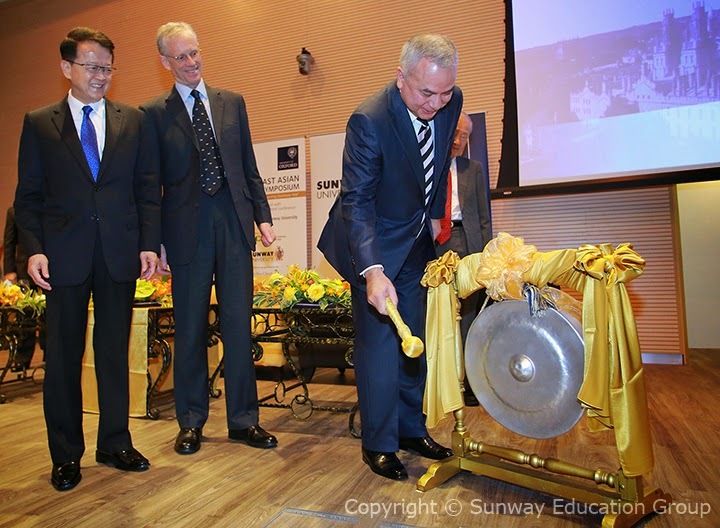 Students enrolling for the CPA Program will now be able to receive additional support with the appointment of Sunway TES Centre for Accountancy Excellence as CPA Australia’s Registered Tuition Provider. Tuition at Sunway TES will provide students with 36 hours of face to face weekend classes at Sunway TES education facilities, direct access to an expert tutor to assist students through the subject content and networking opportunities with like-minded peers to help support students in their studies. Sunway University became the first Malaysian educational institution to Support Dialogue in the Dark (DiD), a social enterprise which was established in Germany 25 years ago. 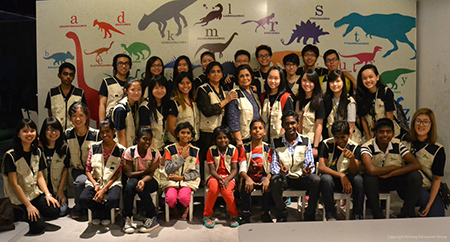 DiD provides experience of a non-visual world through exhibitions & business workshops and was recently brought to Malaysia with a hope of empowering the visually impaired community, whilst also enlightening the public to appreciate light. 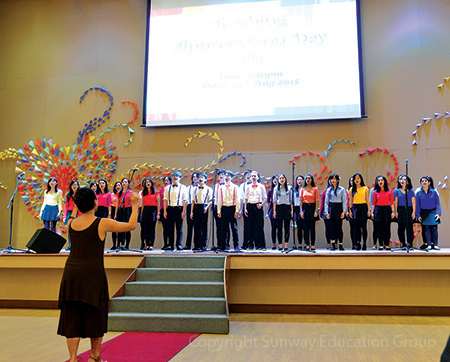 Sunway University recently celebrated Rainbow themed Teaching Appreciation Day to commemorate the dedication of its academic staff members who have contributed in influencing, nurturing and developing the lives of its students. 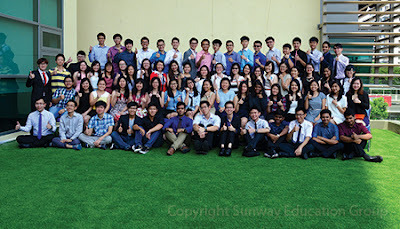 The day involved a short award ceremony of recognising and awarding 46 academic staff members, where 20 Outstanding Teaching Performance Award recipients are from Sunway University and 16 from Sunway College. They were selected based on recommendations from heads of departments and student evaluation surveys for academic year 2014-2015. “Teachers are amazing as they are able to give us a sense of hope and ignite our imagination. For many years, I have observed how teachers teach. I have witnessed the best and the worst. Truly, the AUSMAT lecturers are some of the best. Their dedication, diligence as well as the impact they have on each and every one of us are both exemplary and exceptional. Great teachers can never tell where their influence stops. AUSMAT lecturers are exactly that. And I strongly believe that the high achievers' posters we see on the classroom walls are a testament to the unwavering commitment of an amazing team of 34 lecturers who are sitting right in front of us today”, said William Khoo Swee Keong, President of AUSMAT Student Council at the Teacher’s Appreciation Day which was organised by students of the Australian Matriculation (AUSMAT) programme at Sunway College as tribute to their lecturers. 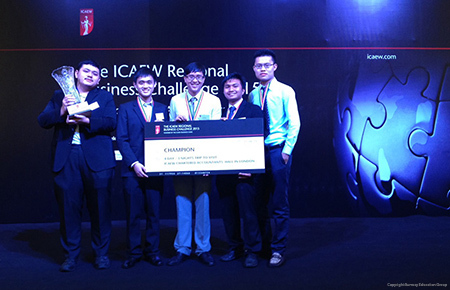 Team Sunway emerged champion in the Institute of Chartered Accountants in England and Wales (ICAEW) Regional Business Challenge 2015 and will be representing Malaysia for the ICAEW-Malaysian Accounting and Finance Society (ICAEW-MACFIS) Business Challenge 2015 in London next year. The champion team comprises of five business-savvy students. 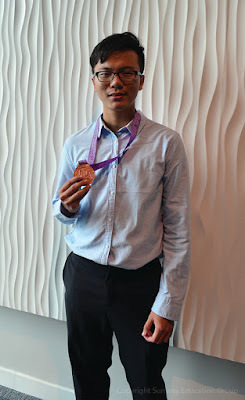 Team leader Albert Yeoh Yun Wei, formerly from Sunway University’s BSc (Hons) Accounting and Finance is currently studying Masters in International Business at Monash University. There are also Anthony Yap Zhen Huang, Muhammad Shahmi bin Shahidan and Yap Tyron who are in their final year of Sunway University’s BSc (Hons) Accounting and Finance, and Jeffrey Lee Wen Xiang, Sunway TES Centre for Accountancy Excellence’s final year Association of Chartered Certified Accountants (ACCA) student. 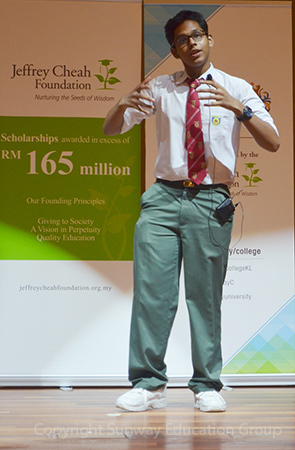 Highlighting determination and taking risks as common traits of all successful people were the main points made by sixteen year old Ahmad Irfan Jawahar Ali who emerged as Champion in the Oxford and Cambridge Society of Malaysia English Language Event: Public Speaking Competition 2015 held at Sunway College. 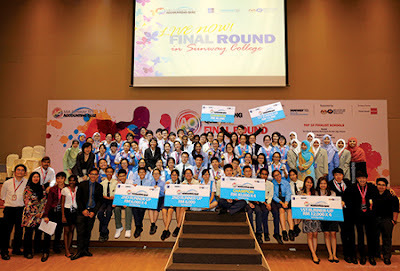 The Sunway College Student Action Team in a modest ceremony, was unveiled rebranded as the new Sunway College Student Council (SCC). The ceremony also introduced the new SCC representatives. “Your role will have its advantages, most importantly it will prepare you and help hone valuable people skills that will put you in good stead for life. 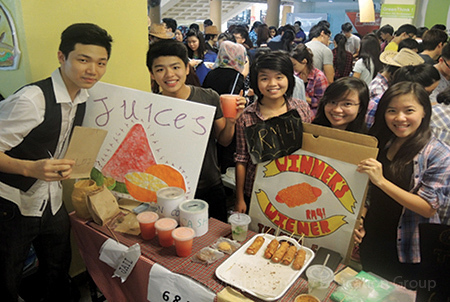 The Student Council is a platform for student participation integral to the development of staff-student relations. Here, you will prove yourselves to be a valued source to the management, lecturers and students. 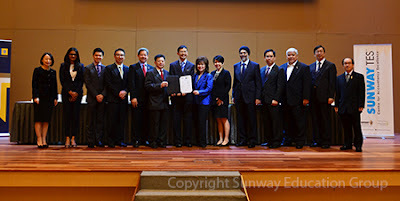 It is good training as you will be dealing with not only the college management, but with your peers where you will represent them and, I trust that you will represent them to the best of your abilities,” said Dr Elizabeth Lee, Senior Executive Director of Sunway Education Group and Sunway University in her address. Each new day brings its problems, challenges and issues. Our youth today hold the responsibility to envision and shape our world for a better tomorrow. 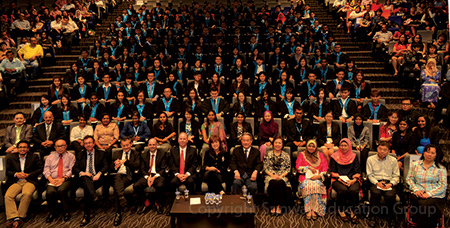 With the belief and certainty that our youth can make a difference, Sunway recently played host to more than 200 delegates from 2 universities, 9 colleges and 10 schools around Malaysia at the inaugural Sunway Model United Nations (SUNMUN) conference. The conference themed ‘Defying Disaster’ was the first organised completely by students of the Sunway Education Group. In support of World Vision’s target to raise RM3 million which will impact more than 47,000 lives, Sunway University’s International Office and Sunway International Student Ambassadors (SISA) recently launched ‘Together for Every Child Campaign’ Clean Water Project at the university. The event saw notable representatives from Sunway University and World Vision launching the project with a unique water filtering ceremony. 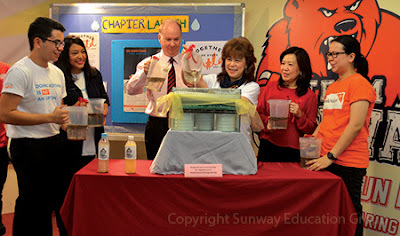 Dr Elizabeth Lee, Senior Executive Director of Sunway University and Sunway Education Group, Prof Graeme Wilkinson, Vice Chancellor of Sunway University, Lim Shui Chin, International Office Director of Sunway Education Group, and Angelo Estella SISA President together with World Vision Malaysia Ambassador Francissca Peter and Communications Officer Tan Shu Yi poured jugs of dirty water into a filter designed and created by Dr Sagathevan K, Sunway University’s Head of Science and Engineering Resources. Ten teachers each took home an “Oscar” for Best Teacher at Sunway University’s Teachers Day celebration. 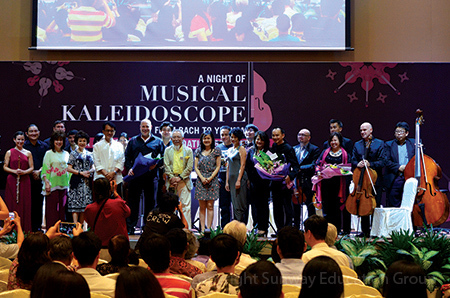 Over 200 teachers, principals and counsellors from several schools around the Klang Valley celebrated at “The Oscars”, a gala celebration for a stellar cast of teachers. The event organised by students from the Diploma in Events Management and Diploma in Hotel Management under Sunway University’s Centre for Tourism, Hospitality and Culinary Management (CTCHM) had the guests walking on the red carpet and posing for photographs against backdrops specially prepared by the students. The teachers were also treated to a delicious spread of lunch. 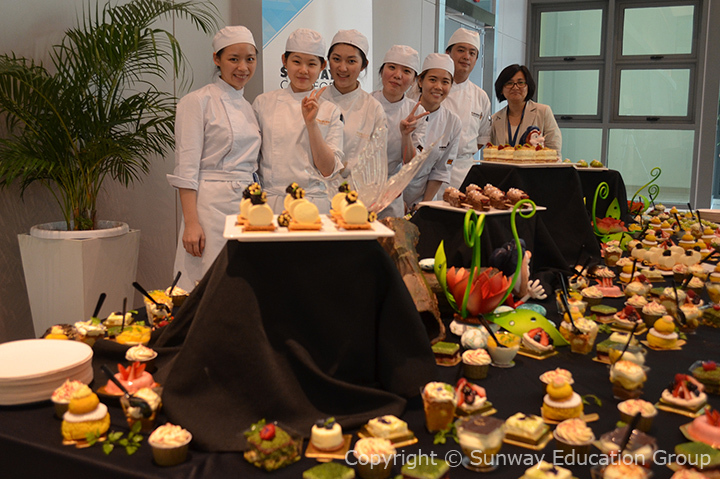 Delectable desserts were specially prepared for the occasion by students from CTHCM’s BSc (Hons) Culinary Management. “As parents and guardians, we would want to bring out the best in our child, in all aspects of learning, in school and at every stage of their learning journey in the hope that we can create a better future together,” said Dr Elizabeth Lee, Senior Executive Director of Sunway University and Sunway Education Group at the start of the Sunway Parent Conference 2015. 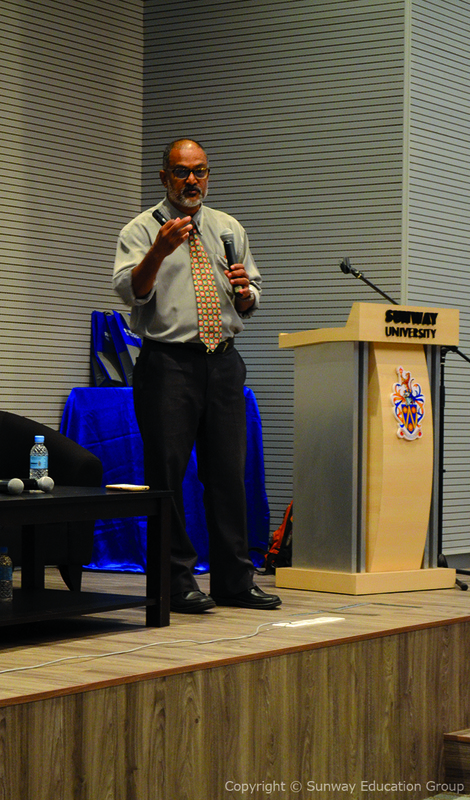 In support of parents or guardians in their parenting challenges in the 21st century, Sunway Education Group’s Student Services Department organised the one-day conference, themed “Bridging the Generation Gap”. 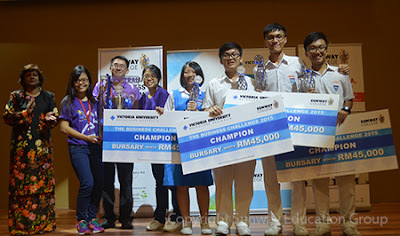 Winning the Regional MasterCard Masters of Code Competition held in Singapore, two Sunway students, one from Sunway University and the other from Sunway College, with their high-calibre team of five demonstrated excellent computer science knowledge. 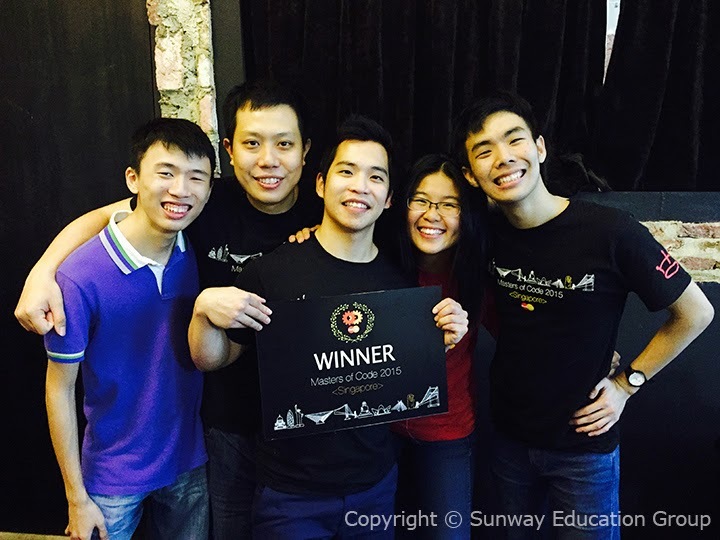 Following their regional victory, Leonardy Kristianto, 20, Sunway University’s BSc (Hons) Information Technology student and Lim Jay Ching, 19, former Sunway College A-level student who graduated in July 2014 and their team mates will be funded for the trip Silicon Valley for the Grand Finale Masters of Code hackathon in December. There, they will have the opportunity to meet and learn from Silicon Valley experts, participate in the MasterCard Priceless Experience tour of Napa Valley and San Francisco as well as stand a chance to win the Grand Prize of USD100, 000. 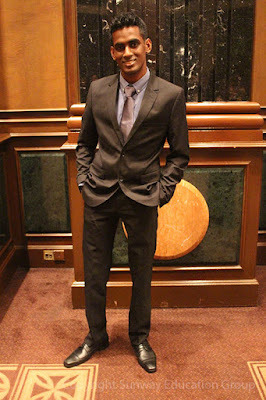 “Welcome to the VU (Victoria University) Family. We are many miles apart physically but you are as much a member of the VU student family as any student in China, Melbourne, Singapore and elsewhere,” said Rhys Williams, Director of International Development, Victoria University International, in addressing the VU Sunway students at the High Tea hosted by VU at Sunway College on 13th April. The High Tea was a get-together for the ‘VU family’ comprising current VU students at Sunway and staff members from both Melbourne and Sunway campuses. There was an air of vibe and excitement as students were presented with VU memorabilia, kind courtesy of VU Melbourne. 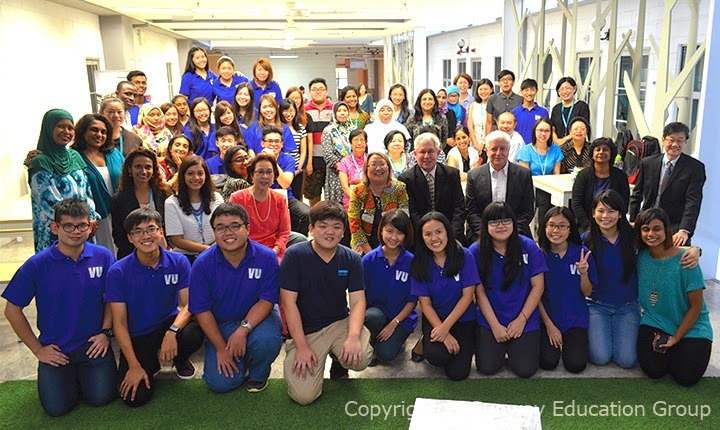 VU Melbourne and VU Sunway College staff and students having ‘family reunion’. Irene Teoh, Assistant Head of Australian University Programme, Sunway College (2nd row, 6th from right), Teresa Tjia, Academic Registrar, VU Melbourne (2nd row, 5th from right), Rhys Williams, Director of International Development, VU International (2nd row, 4th from right), Brendan McCarthy, Director of Learning and Teaching, VU College, Melbourne (2nd row, 3rd from right), Greeja Hemalata De Silva, Head of Australian University Programme, Sunway College (2nd row, 2nd from right), Dr Hendry Ng Han Swee, Head of VU MBA Programme, Sunway College (2nd row, 1st from right). 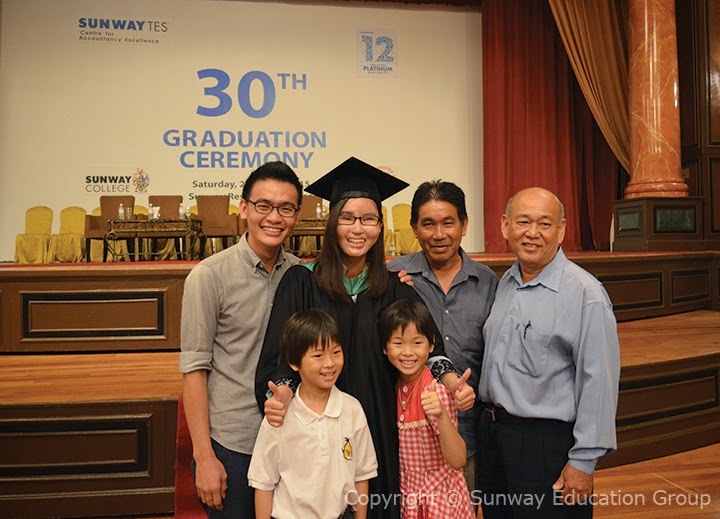 Sunway TES, the leading professional accountancy school in Malaysia held its 30th graduation ceremony on 25th April 2015. 420 students successfully completed their studies in ACCA (Association of Chartered Certified Accountants), ICAEW (Institute of Chartered Accountants in England and Wales) and Oxford Brookes University (OBU) programmes. Bandar Sunway, April 20 ~ The global benchmark for the student experience, the Student Barometer Survey Entry Wave 2014 revealed that institutions in the Sunway Education Group are achieving high student satisfaction for graduate employment. 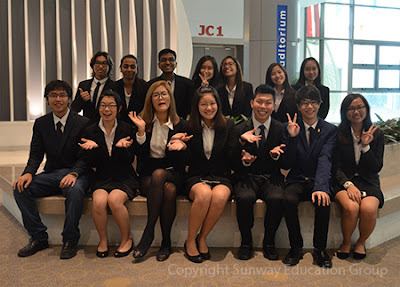 The score for a combined group of students surveyed from Sunway University and Sunway College was the highest out of 15 Asian institutions for ‘Employability’. A high score was also achieved for the Learning Overall experience (highest out of 7 institutions surveyed in Malaysia). The Survey undertaken by i-graduate, tracked feedback from over 2 million students from 1,400 universities, colleges, schools and government agencies across 30 countries. In Asia, over 32,000 students participated in the Survey. 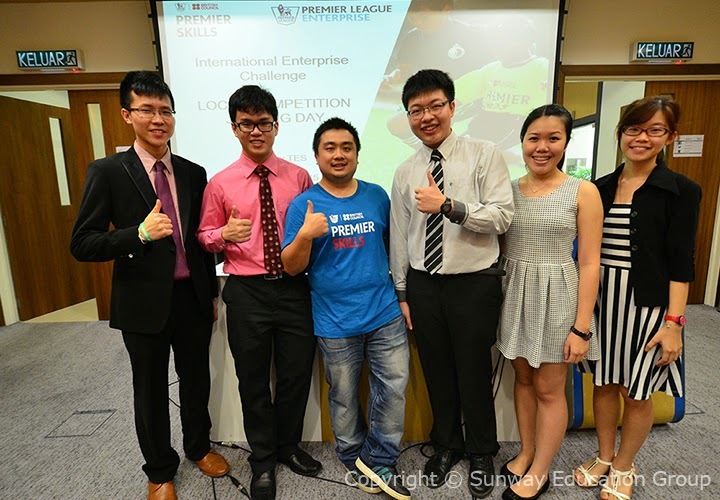 Sunway TES Centre for Accountancy Excellence (CAE) recently hosted the International Enterprise Challenge, organised by its former Certified Accounting Technician (CAT) and Association of Chartered Certified Accountants (ACCA) student, Stephen Lee How Hwang, in collaboration with Premier League, Premier Skills and the British Council. Utilising the global appeal of the English football Premier League, the International Enterprise Challenge aims to engage, inspire and unlock potential amongst 14 to 19 year old Sunway TES CAE accounting students by developing their business and enterprising skills through examples drawn from the commercial football sector. Youths make up a quarter of the world’s population and many young people today step up to take ownership for a world they want, a better world. Today’s youth are our future, able shape the world’s social and economic development, challenge social norms and values. These are the ones who can shape the future, the future of our country, the future of this region and ultimately the world. In its continuos efforts to empower today’s young people, Sunway played host to more than 500 delegates from 6 universities, 10 colleges and 11 schools at the inaugural Malaysian National Model United Nations (MNMUN) conference. The conference themed Malaysia’s Future – Malaysia’s Youth, is the biggest so far held in Malaysia. “As a provider of this scholarship, we hope that it will be a tremendous encouragement and inspiration for you. We are merely giving you a boost to a brighter future. So do make full use of this opportunity. 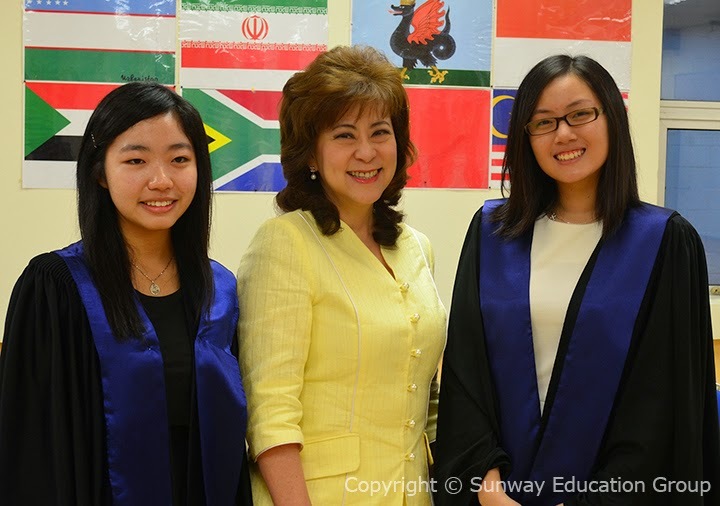 As a rule of thumb, continue to work hard and persevere to realise your full potential”, said Dr Elizabeth Lee, Senior Executive Director of Sunway University and Sunway Education Group at the Sunway TES-ICAEW Global Accountant Scholarship presentation ceremony. 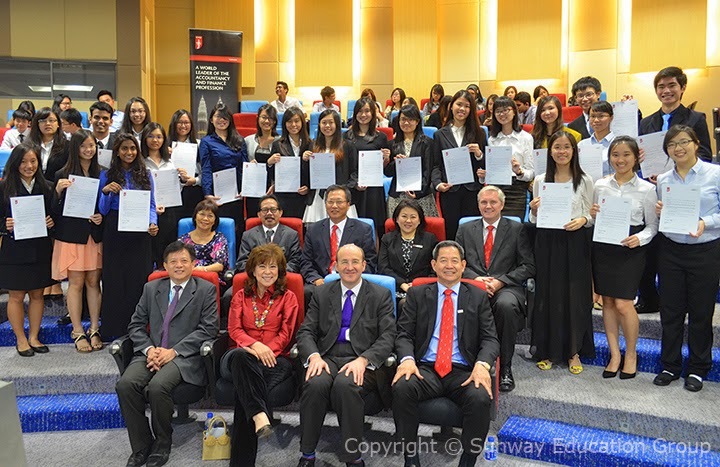 On 16 March, twenty three students from 16 different schools across Malaysia of the January 2015 intake were on hand to receive the Sunway TES-ICAEW Global Accountant Scholarship amounting about RM1 million for a 2 and 1/2 year Certificate and Professional studies in the ICAEW (Institute of Chartered Accountants in England and Wales) programme at Sunway TES. The scholarship covers full tuition fees with a registration and exam fees waiver by ICAEW. “What is FIA? The first thing that comes to mind would obviously be Foundation in Arts. However, for us sitting here, these three letters carry a lot more meaning than what many may see. 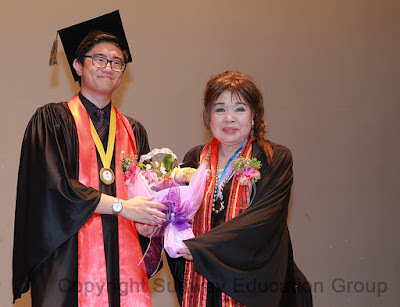 It carries a journey, an experience and the beginning of so much more”, said Avryl Ooi Wan Cheen, valedictorian of the Sunway College Foundation in Arts (FIA) at the programme’s14th Graduation Ceremony.